Thomas Silberhorn, state secretary in the German Defence Ministry, said the NATO Alliance Ground Surveillance (AGS) drone would be delivered to an air base in Sigonella, Italy, followed by four additional systems, including drones and ground stations built by Airbus, later in the year. Northrop first won the contract for the AGS system from NATO in May, 2012, with delivery of the first aircraft slated for 52 months later. However, technical issues and flight test delays have delayed the programme, Silberhorn said. Andrej Hunko, a member of the radical Left opposition party, called for Germany to scrap its participation in the programme, warning of spiralling costs and the risk that it could escalate the conflict in eastern Ukraine. Silberhorn, in a previously unreported response to a parliamentary query from Hunko, said NATO had capped the cost of the programme at 1.3 billion euros ($1.47 billion) in 2007. 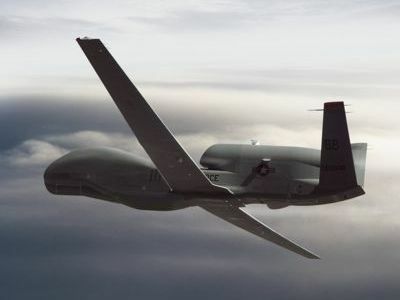 Germany, which is funding about a third of system, scrapped plans to buy its own Global Hawk drones amid spiralling costs and certification problems, and is now negotiating with Northrop to buy several of its newer model Triton surveillance drones. Germany has sent 76 soldiers to Sigonella to operate the surveillance system and analyse its findings, Silberhorn said. He said a total of 132 German soldiers would eventually be assigned to AGS, of whom 122 would be stationed in Sigonella. NATO officials had no immediate comment on the programme’s status or whether Northrop faced penalties for the delayed delivery.